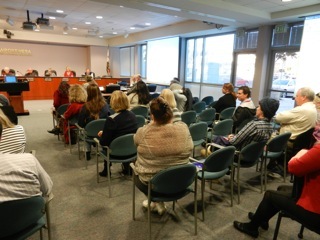 In what have been the quickest two hour public meeting I've attended lately, the members of the Newport Mesa Unified School District Board held a round table discussion of safety issues, primarily what President Dana Black described as an "active shooter challenge". Considering that this meeting was held just two working days since the tragedy in Newtown, Connecticut - the impetus for the meeting - I was impressed with the preparation by the board and staff, plus the invited guests. You can read Mike Reicher's report on the meeting in the Orange County Register HERE, and Jeremiah Dobruck's report from the Daily Pilot HERE. 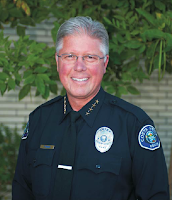 Approximately 50 observers - far from a packed house - sat in the audience to hear Superintendent Dr. Fred Navarro kick it off at 2:30 by introducing Costa Mesa Police Chief Tom Gazsi and Newport Beach Deputy Police Chief Dave McGill. During their segment, in which they each described the current status in their respective cities, the hot button topic was School Resource Officers (SROs). Newport Beach has them at both high Newport Harbor and Corona del Mar high schools. Costa Mesa, following a series of budget demands by the previous city council, does not currently have SROs at Costa Mesa nor Estancia High Schools. Chief Gazsi told us that the first new police officer was hired by Costa Mesa today, a lateral transfer from another police agency. Gazsi hopes that the council will find ways to restore some of the police staffing so it may be possible to place SROs back in the schools in the spring. Several board members and speakers before the board stressed the value of the SROs on campus. 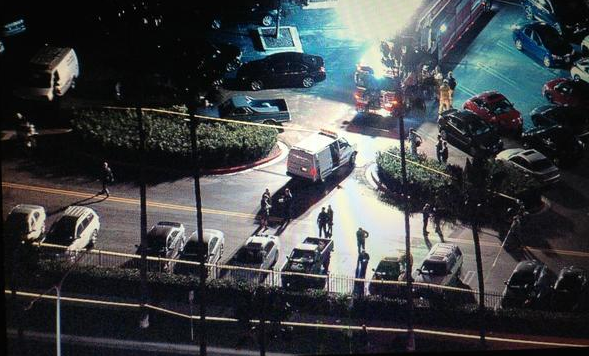 Both chiefs addressed the shooting spree at Fashion Island Saturday night as an example of how they just cannot cover every possible eventuality. Both organizations train using the most up-to-date policing techniques and tactics to remain prepared for emergencies like that. They stressed the mutual aid agreements and used the example of the Fashion Island incident of effective use of that program. 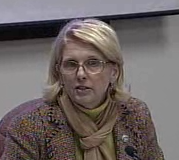 Member Karen Yelsey wondered whether consideration might be given to arming teachers in the classroom. That touchy question was handled diplomatically by Chief McGill, indicating it was a subject worthy of discussion. It was clear that he was not comfortable with that idea. Chief Gazsi reinforced that view, stressing a preference for trained officers. Member Judy Franco expressed concern for the problem of securing some of the campuses that back up to parks or the beach - Newport Elementary, for example. She suggested placing a car proximate to the school regularly to discourage potential intruders. There was discussion of the use of security cameras, including the cost and a pilot program that was conducted. It was acknowledged that the technology is expensive, but is evolving. They are most useful in "after the fact" events - identifying perpetrators, for example. 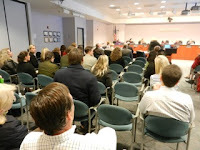 Board members were updated on the current emergency procedures, stressing that the individual principals have latitude to modify them as appropriate for their own individual schools. The board discussed enhanced communication using technology and parent involvement. Director of Communication Laura Boss stressed the various methods of communicating with parents and staff, using text and email. A lengthy discussion was held about the mental/emotional impact of this kind of event. Trained psychologists have been available on campus and there is a clear procedure to be followed, including group meetings to assist particularly troubled children. Several members of the public, including parents, spoke and stressed their concern for their children and their safety at school. One speaker expressed concern for the involvement of the Spanish-speaking parents, since they have problems understanding some of the programs being proposed. He was concerned for the cultural and language barriers. A lot of ground was covered in the two hours provided. I was amazed and impressed at the volume and quality of the presentations considering they had basically one working day to put it all together. I suggest each of you watch the replay of this meeting either via streaming video - it's already run a couple times today on Channel 26 on Time Warner Cable this evening - or on the school district website, https://nmusd-ca.schoolloop.com/boardagendas, when it's available online. It will also be available on Costa Mesa Television, Channel 24, as part of the rotation and also online via streaming video at the City web site by the end of the week. I was very pleased to see Costa Mesa Chief Executive Officer Tom Hatch and councilwoman Wendy Leece - a former school board member - at the meeting to add support. Leece also commented, stressing that Hatch and Gazsi will be working on the SRO problem and that folks may be interested in attending the Citizens Police Academy to acquire formal training in emergency situations. 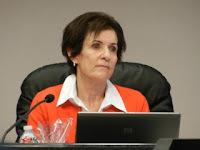 The school district staff was charged with returning at the next regular meeting with answers to some of the complicated issues that were brought up, so it will be interesting to see how this shakes out as we gain some distance from the Connecticut tragedy. Congratulations to all concerned for the very thorough, professional program today. Thank you, Wendy for attending and attempting to resolve the SRO problem in our schools. This issue has to go beyond Righeimer's politics. This is critical. Wendy will be helping us in one capacity or another long after Napoleon has moved on.